The Battle of Perryville was fought on October 8, 1862 and resulted in a Confederate defeat that ended the South’s attempt to occupy Kentucky and secure it to their cause. 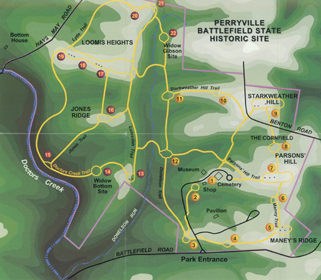 A National Historic Landmark, the battlefield encompasses 7,000 acres including the small town of Perryville. Today, that landscape is largely intact and, as a result, Perryville is among the most interesting battlefields for visitor experience and interpretation. 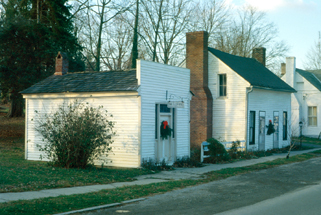 The master plan for Perryville presents interpretive, stewardship, heritage tourism, and treatment strategies for implementation by state, local, and non-profit partners. Techniques for land protection were outlined, and a comprehensive, phased plan for interpretation of the battle was created. Upon completion of the plan, a phase-one interpretive trail with exhibits was implemented in the core area of the battlefield. Local partners subsequently preserved additional lands in their ongoing program of stewardship.